In an effort to minimize risk buyers are taking smaller steps as they progress towards major buying decisions. 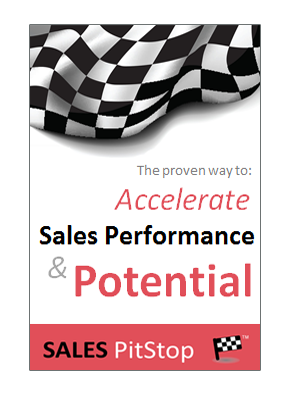 Buyers are in effect taking baby steps towards the purchase decision – they have learned that going faster increases the danger of falling over. 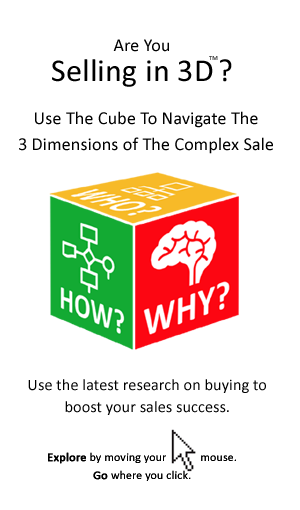 In the words of one experienced salesperson buyers are adopting an iterative approach to how buying decisions are being made. ‘Once the buying process for a major IT system may have involved 6 steps, today it is likely to be broken down into many more’ he explained. ‘Most I.T. buyers have been burned by the old ways of buying, with a high proportion of projects behind in terms of time and/or budget.’ The fact that they have adopted a more street-wise approach to buying I.T. is hardly a surprise therefore. They are putting of making a decision as late as possible. They are leaving as many options and alternatives open as is possible. They are learning as they go, reviewing and testing options and alternatives in tandem with making a decision. No more clearly can this ‘iterative buying’ be seen than in the case of an Australian banking corporation whose search for an administrative systems vendor started with an RFX to a list of 50 vendors worldwide. Rather than selecting one successful vendor and awarding the contract, the corporation narrowed the field to two vendors and requested both to undertake parallel pilots. Based on the success of the pilot, the final vendor was selected. Not only did the parallel pilot projects provide a clear view of which vendor the buying organisation could work best with, it also provided valuable learning in terms of unanticipated issues around implementation, as well as requirements. All this convinced the buyers that a later decision, arrived at much more slowly, had the result of minimising project risk and maximising success. What are the implications for sellers? Well, iterative buying requires iterative selling, with the Always Be Closing mantra being replaced with Always Be Advancing. Sellers must be satisfied with building commitment over time. As buyers progress in smaller steps, the challenge for sellers is to adopt a similar step-wise low risk method of making the sale.